Funding for scientific projects is available through different agencies, institutions, and other bodies in the form of awards, grants, and other types of financial assistance. There are plenty of programs and initiatives such as the Canadian International Innovation Program under Global Affairs Canada, the Build in Canada Innovation Program run by the Canadian Government, and many others. The Build in Canada Innovation Program offers funding in the amount of up to $500,000 to businesses that operate in any of the four sectors: enabling technologies, safety and security, health, and environment. There is also a military component with a higher contract value – up to $1,000,000. Innovations in the following categories are eligible for funding: training systems, in-service support, arctic and maritime security, protecting the soldier, cyber security, and command and support. The Canadian International Innovation Program focuses mainly on collaborative projects, including research and development, whereby international and Canadian businesses collaborate to promote new services, processes, and products and reach wider audiences. The program offers funding up to $600,000. The list of partner countries covers South Korea, Israel, India, China, and Brazil. Businesses in three categories are eligible to apply for financing, and namely, technology co-development, technology validation, and technology adaptation. Only businesses that are incorporated domestically, have less than 500 employees, and are for-profit entities qualify. There are other government programs and funds with a focus on research and development, including the IRAP Accelerated Review Process, the Innovation Superclusters Initiative, the Canadian Agricultural Adaptation Program, and the SD Tech Fund, among others. The latter offers funding to businesses that aim to improve water and air quality and fight climate change. The contribution is up to 33 percent to cover depreciation expenses, labor costs, goods and services, and expenses paid for capital items. The IRAP Accelerated Review Process is mainly focused on innovation challenges and provides financing for marketing, production design, productivity improvement, and software implementation. The Canadian Agricultural Adaptation Program offers funding to cooperatives, aboriginal groups, and marketing boards for the purpose of developing piloting solutions and new niches, products and ideas. The program offers funding in support of agricultural projects and up to 50 percent of the project implementation costs. MITACS Elevate is another program that supports projects and businesses in different categories, including automotive, finance, advanced manufacturing, ICT and digital media, clean technologies, and health science and technologies. There are provincial funding programs as well, for example, Accelerating Innovations Into Care in Alberta, the IESO Conservation Fund in Ontario, and the Commercialization Support for Business Program offered by the Manitoba Government. This is a government agency that provides federal funding through a number of programs, including the Foundation Grant Program, the Project Grant Program, Banting Postdoctoral Fellowships, and training award programs, among others. The Foundation Grant Program, for instance, offers financial assistance to researchers who focus on health research. The amount varies based on factors such as scope of activities, research approach and methodology, and field of research. The Project Grant Program also offers funding to researchers in the field of health systems, healthcare, health research, and applied knowledge. The training award programs offer funding to train postdoctoral, doctoral, and Master’s degree students across health-related disciplines, including physiotherapists, nurses, dentists, clinicians, and others. There are also initiatives that offer funding to support research with a focus on health services, clinical research, biomedical research, etc. The main goal is to enhance health outcomes and health systems through training, career support, and funding for research purposes. 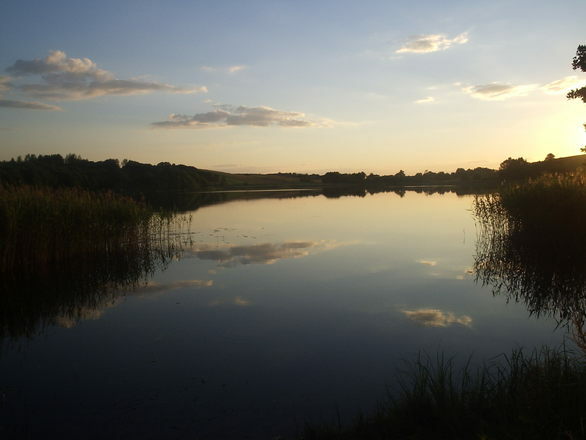 Called a nature’s laboratory and a freshwater research area, the Experimental Lakes Area includes a total of 58 lakes that are used for the purpose of scientific research. Scientists study the ecosystem and its different components and how they respond to change. The goal is to develop and implement sound and cost-effective management practices, regulations, and policies to protect freshwater sources and supplies. The research station was founded back in 1968 to study trends and emerging concerns over time. Thousands of fish are caught and killed each year in Canada so that scientists can monitor and study how industrial pollution affects water supplies. This is not a sustainable solution for small freshwater sources such as rivers and lakes. To this end, researchers aim to develop a better way of monitoring pollution and freshwater fish. The project is one of eleven underway in the Experimental Lakes Area, and the goal is to develop more humane sampling and monitoring methods. The scientists focus on a couple of lakes where they conduct experiments, and the rest are used as control lakes. A number of projects have been implemented over the years, with a focus on emission controls, waste water management, the effect of birth control medications on freshwater populations, etc. One project focuses on the impact of water clarity on trout. A channel to Lake 626 was cut off to increase water clarity and temperature. The goal is to monitor the level of chemical markers in slime to find out how pollutants affect fish in a drier environment. Another project is also underway at Lake Ice, and the goal is to measure and examine snow and ice thickness as well as the duration of ice cover. Scientists study the effects of climate change on the ice cover. 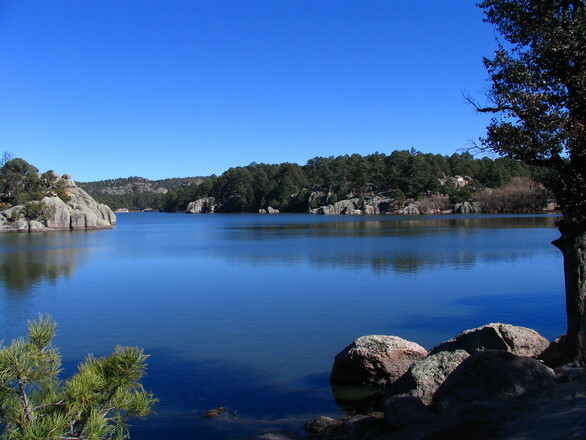 Scientists who work in the Experimental Lakes Area focus on priorities such as water management, methodologies and methods for ecosystem assessment, ecosystem management and recovery, eutrophication, contamination, and climate change. Eutrophication refers to the harmful effects of algal blooms on marine and freshwater ecosystems due to the right amount of fertilizers, carbon dioxide, and sunlight. Algal blooms affect recreational water facilities, fisheries, drinking water, and aquatic ecosystems. The fact that toxic algae proliferate can have dramatic consequences. They have become a threat to public health in some parts of the world. In fact the Experimental Lakes Area was founded to address this issue, and there are projects underway at present. Ecosystem recovery is also a research priority, and experiments focus on different factors that aid recovery. Contaminants are monitored as well as the impact of ecosystem interactions on toxicity and the extent of contamination. Experiments in the area also include mercury and nanosilver. The latter is used across industries to manufacture washing machines, cutting boards, baby bottles, socks, etc. Scientists study the effect of nanosilver on ecosystem health and metabolism and how contamination affects fish populations. Scientists also experiment with mercury to study mercury in fish, released by coal-fired industrial plants. Researchers in the Experimental Lakes Area increased the level of mercury deposition to prove that atmospheric deposition adversely affects fish populations. This experiment is conducted in support of legislation to reduce the level of mercury disposition in water supplies through scrubber installations on smokestacks. Radioisotopes in fish are the focus of another project that aims to study isotope change that took place as the result of nuclear bomb testing. Climate change due to changing patterns of precipitation and the global warming is also a research priority. Climate change has a profound effect on ecosystem health not only in Canada but around the globe. Ongoing research in the lake area aims to examine the effect of climate change on lake ecosystems. The team of researchers works in collaboration with universities in Manitoba, Toronto, Minnesota, and Winnipeg as well as Environment Canada, the Ministry of Environment and Climate Change of Ontario, and other key players.